Parkhurst is an brand new boot company that was established 2018, so while they don’t have a ton of history they do have some interesting aspects. 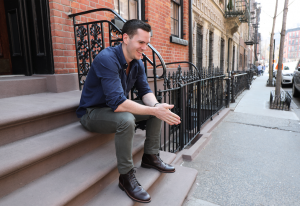 Based in Buffalo, New York, the company makes everything in the United States with materials from the United States — except for the rubber outsoles, but even those are imported through a third generation mom and pop leather shop in Pennsylvania. 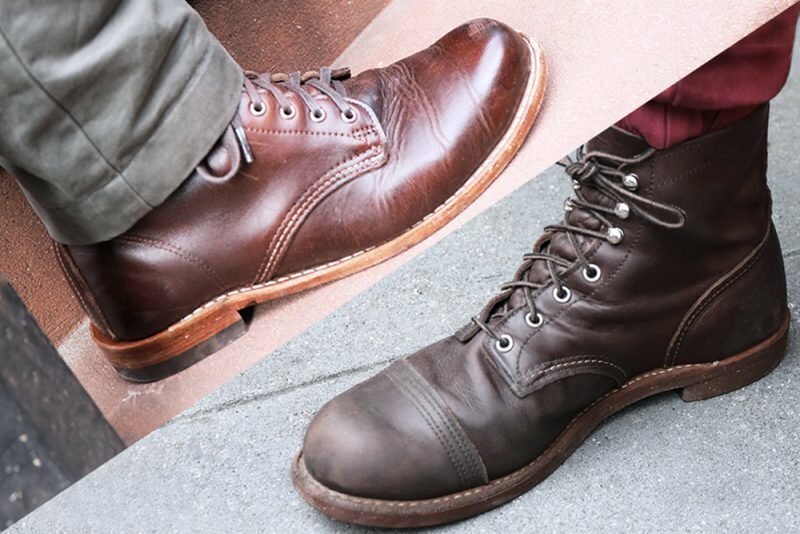 The goal with the Delaware boot is to devise a hybrid of the dress boot and work boot. 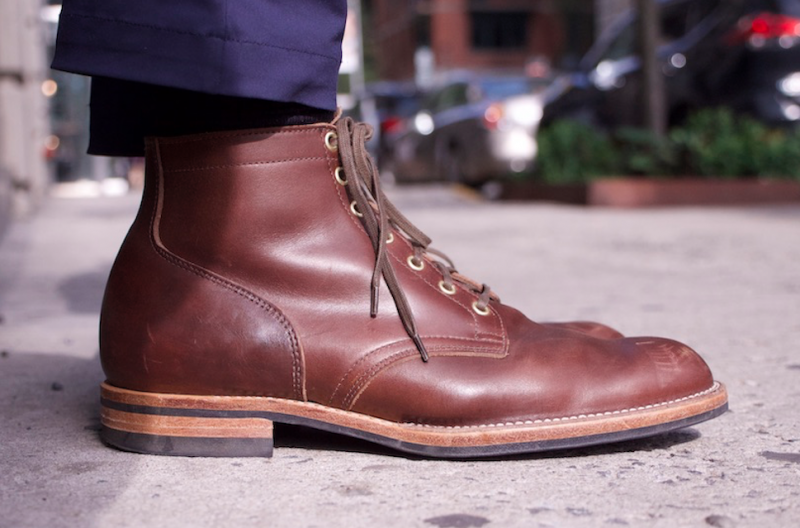 In that respect it’s not unlike the Thursday Captain Boot, or perhaps Red Wing’s Williston and Merchant boots, but there are a few things that help it to stand out, including the broguing along the cap toe and an unusual Texon insole that I’ll discuss below. Let’s take a closer look at the aesthetic below. This is a pretty sleek cap toe boot made with natural Chromexcel leather and a Dainite sole, both mainstays of nicer men’s boots. It’s also fully lined with glove leather, so it doesn’t feel as rough and outdoorsy as an unlined boot like the Wolverine 1000 Mile. Again, it’s still a little unusual with the broguing along the toe cap, which is meant to strike a balance between a wingtip and a plain toe without overloading the boot with broguing. Another differentiator is that this has a slightly wider last than you might expect. Some sleeker boots have a tendency to squish the toes in the toebox, but the Delaware is just wider than a D width, while not looking as wide as a more casual boot like the 1000 Mile. The leather is great and there were no major quality control issues, though if you look really closely at the right toecap you can see that some of the stitching runs through the holes in the broguing instead of around them. It’s not something anyone would notice unless you were standing on their face and I didn’t consider it a big fault, especially given the remarkable cost of the shoes. The trick with Chromexcel is that it’s pretty prone to creases and loose grain, but my pair of Delawares had pretty tight grain and while they did crease a little along the toe break, it didn’t do so to unusual degree. This boot is only available in natural Chromexcel for now, but I think this color makes for a great addition to a wardrobe and I find myself wearing them more often than I thought. This kind of leather, for all its pros, its pretty vulnerable to scratches and nicks. That said, it really isn’t hard to remove them with a good conditioning. There are two products that get recommended for Chromexcel a lot: Venetian Shoe Cream and Saphir Renovateur, which produces a bit more of a shine. These products get the nod from Horween Leather Company, who produce Chromexcel, but Parkhurst themselves suggest Nikwax’s Leather Conditioner. Chromexcel is a pretty hardy leather and doesn’t need much conditioning if you’re OK with the scratches that will inevitably accrue, so condition as often as suits your preference, but you should probably stick to a minimum of two or three times a year. I actually made a full video of myself conditioning these boots — to watch it, check out my Venetian Shoe Cream review. Now this outsole is Dainite, widely considered a great compromise on grip, aesthetics, flexibility, and durability, plus it’s got these cool recessed lugs that offer decent grip but it still look flat when viewed from the side. A lot of brands try to mimic Dainite, but the Dainite brand itself it’s pretty much only ever seen on brands that cost over three hundred bucks, and even five, six, and seven hundred dollar boots usually default to Dainite. The heel is stacked leather, which they make themselves just outside of Buffalo, and Parkhurst offers heel replacement and resoling services for when you run through the sole. It’s not free but still, if there are no cobblers in your area it might be worth the postage. There’s a leather midsole and there’s some cork underneath the leather, and the aforementioned Texon insole, which is made from 85% recycled cellulose. Texon is pretty soft and flexible (it’s used in some athletic shoes at Nike and Reebok) but this particular type of Texon was developed just for Parkhurst. They told me they thought it’d help reduce the boot’s carbon footprint (or bootprint), which is pretty neat. As I mentioned it’s also fully lined with glove leather, and between the Texon and the glove leather there’s a thin strip of foam for extra cushioning. An interesting touch is that the boot’s leather inlay is cut from the same hide of leather (as in the same animal) as the vamp, toebox, and quarters in the interior of the boot. Note the welt curling up onto the upper. I ordered a half size down (so an 11 for me; my true size is 11.5) and there’s just one width available right now, which is a bit limiting but as a new company it’s not surprising and that may change in the future. That width is ever so slightly wider than a D and although I’m normally a regular D width, I found myself really enjoying the extra room. As mentioned, many sleeker, dressier boots tend to mash the pinky toe, but the Delaware offered a pretty roomy toebox without sacrificing the sleek aesthetic. As a fully glove lined boot made from Chromexcel, I’m pleased to report that I didn’t have a tough break in at all. This is not quite as rugged and thick cut as some other Chromexcel boots and as a result the boot looks a tad dressier, but also the leather isn’t as stiff or hard to break in. All the layers in the sole did make for a shoe that’s not especially flexible, particularly when compared to something like a Blake stitch, but the good news is that all the Texon and foam made for pretty decent shock absorption. Right now, the boots cost $298. For a Chromexcel boot with a Dainite sole that’s completely made in the US with US materials (yes, except for the outsole), I found that to be a pretty remarkable price. I would have expected at least $350 for a shoe like this. I was pretty happy with my Delaware boots. They’re versatile, comfy, well priced, and the split reverse welt makes ’em extra water resistant. Some turn up their nose at boots that don’t have leather insoles, but Parkhurst tells me they’re soon switching to leather insoles anyway. In any case, for something totally made in the US, I think you get good value for money.